We have heard a number of rumors about the new LG G4 smartphone, the latest ones have suggested that the device may not appear at Mobile World Congress next month. 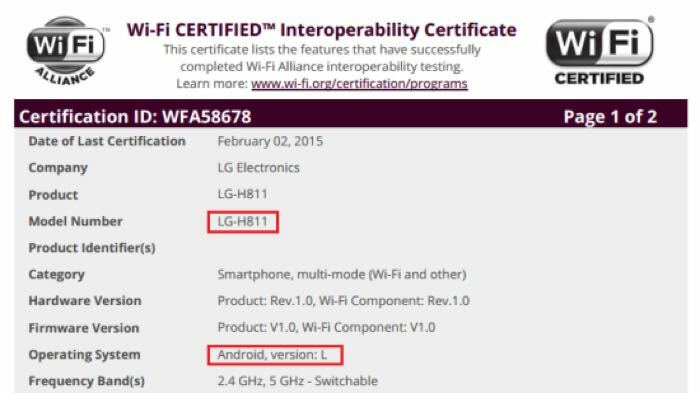 Now a new smartphone with Android 5.0 Lollipop has been certified at the Wi-Fi Alliance, and it is possible that this new device is the LG G4. The handset was listed at the Wi-Fi Alliance with the model number LG-H811, and it could possibly be the new LG G4. 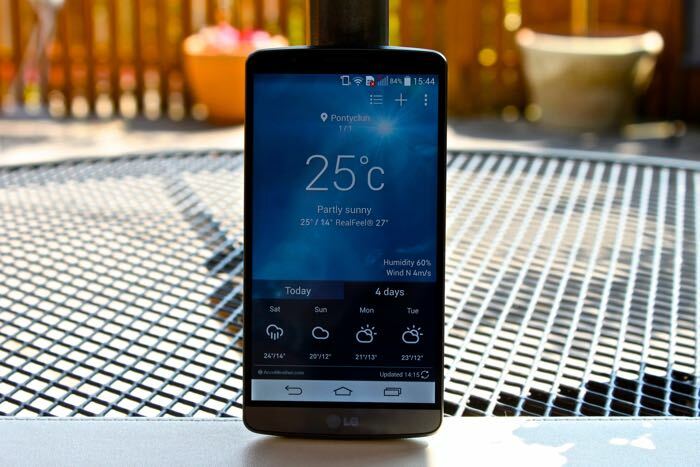 The LG G4 is rumored to come with a 5.5 inch Quad HD display with a resolution of 2560 x 1440 pixels, the device will also use Qualcomm’s flagship mobile processor, the Snapdragon 810. Other rumored specifications in the device include 3GB of RAM and a range of storage options, the handset will also come with dual band Wi-Fi and front and rear facing cameras. The handset is also rumored to come with a new camera on the back, the LG G3 has a 13 megapixel version, this new model will apparently come with a 16 megapixel camera, the camera is expected to feature LG’s Laser Auto Focus and also Optical Image Stabilization. It is not clear as yet on exactly when the new G4 smartphpne from LG will be made official, as soon as we get some more information, we will let you guys know.